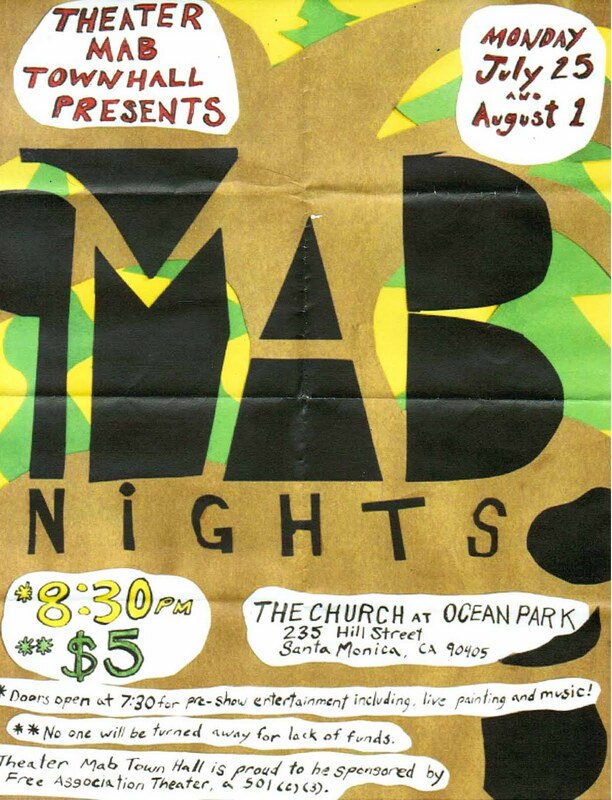 that hosts experimental performance nights called MAB Nights. We created a fabric installation called the Entrance of Illusions. The installation we created consists of several bed sheets that A'misa and I hand painted. My studio walls still have the residue of the painting process. These huge sheets really transform a space in a big way. I'm happy how they came out. They make for interesting set design I would say. The opening night of MAB Nights was amazing! It can be described as an experimental type of theater experience. The theater group performs a number of short plays in different parts of the room. They literally ask for the audience to rotate their chairs after each performance. Please come out for the second performance.